Whether an imbalance of humours, a curse, or the anger of the Almighty, there are treatments for everything in these enlightened times. You need not spend a day longer than necessary not working in your master’s field! So it’s off to the barber-surgeon you go. Helpful as ever, we’ve compiled a list of the most frequently experienced illnesses with the sort of treatments you can expect to receive from your surgeon. Insist on seeing evidence of his membership in the Worshipful Company of Barbers. There are many who claim this privilege, but upon closer inspection of their credentials one finds they are being treated by a member of the Company of Worshipful Barbers, the Barber’s Worshipful Company, or even the Worshipful Barber’s Company (who everybody knows are an absolute nightmare). – Stares at you, judgement plainly visible in his eyes, run. – Tells a story but it is not merry enough for you, you are right to request another. If this second tale does not delight, leave. – Tells a story that you’ll be sure to repeat to the children and all the family when you get home (except the bits about the dog and the lady’s maid), congratulations, you’ve found your barber-surgeon. If your surgeon has to collect the snails, worms, dung, or moles himself, this is NOT a good sign. 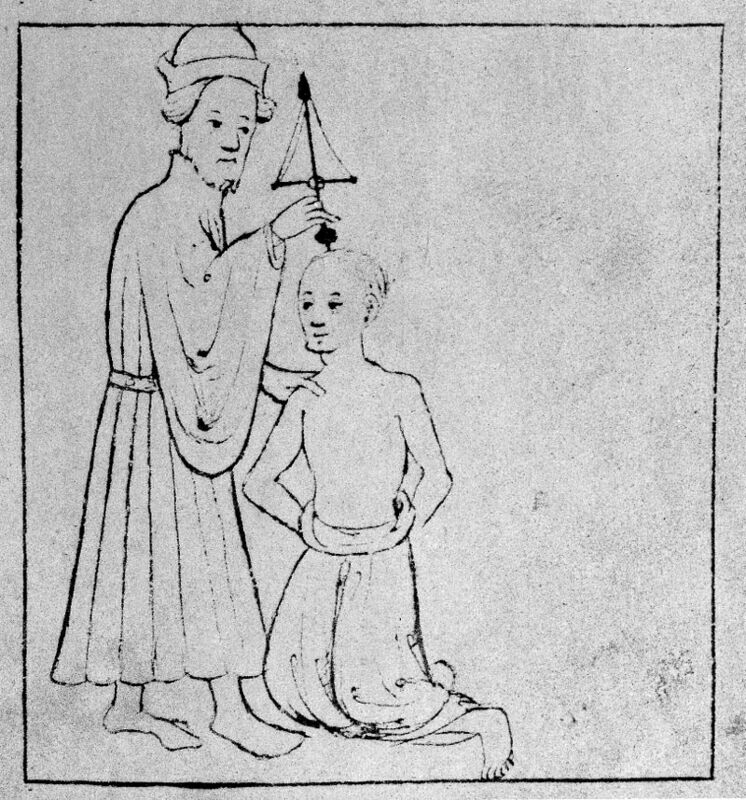 A reputable barber-surgeon will have an assistant to carry out these tasks. Ask if your surgeon studies urine, and if so, does he only smell? Or smell AND taste? If the latter, you’ve hit the jackpot. You’re now ready to be treated! Who HASN’T suffered from headaches, especially these days, what with the floods, droughts, famine, and plague, among all of the family and social responsibilities that need to be maintained. But who can afford even a day to rest when there are the master’s fields to be cleared as well as your own small plot, dung to be gathered, cooking for the family, planning for visiting in-laws, snail slime to collect – the list goes on. – The surgeon may first try strapping a dead mole to your head. A method used by the Arabs but widely-practised and for good reason: this treatment really works! – For those wary of foreign medicine, boiled heather or a boiled egg placed on the head is a much nicer way of ridding oneself of the pain. Not as efficacious as a dead mole, it still delivers many of the benefits without the unpleasant smell of rodent. Mix incense, pigeon dung, and wheat flour, temper with the white of an egg and bind to your head with a leather cap and wear for nine days. – Bloodletting. There’s something familiar and comforting about a good old-fashioned bleeding. – When dangerous humours exist in the head, thus endangering the patient’s life, boring a hole into the skull may be suggested by your surgeon as the only way to release these harmful humours. Their presence manifests in a number of ways, including hysteria, suddenly arguing with in-laws, falling asleep at dinner (especially at the in-laws), or an unnatural desire for advancement. Pesky tooth worms bothering you again? Tried to pull them out yourself, to no avail? 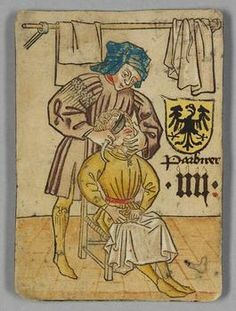 Your barber-surgeon is here for you! 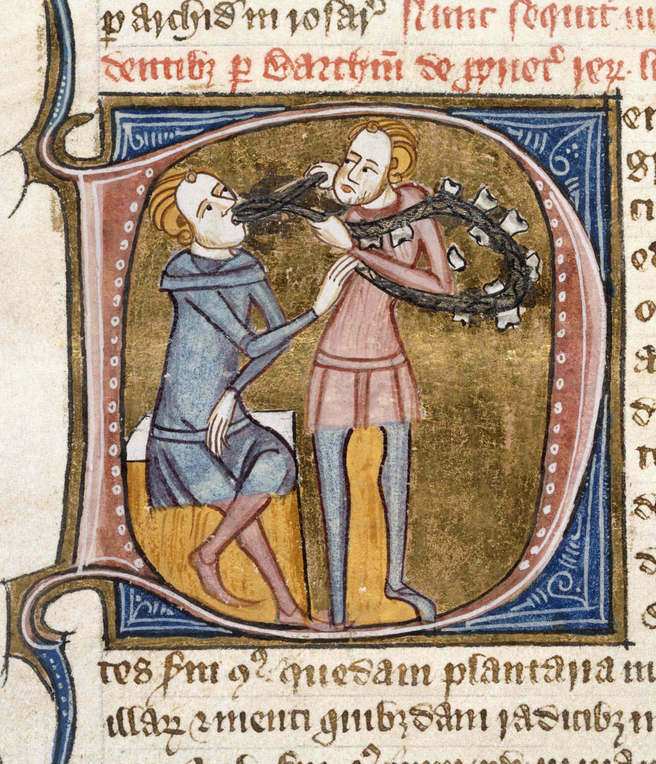 – The surgeon will first try to coax the worms out in a variety of ways: burning a candle close to your mouth, coating the painful tooth in honey (the little guys just LOVE the stuff), or smearing raven’s dung (another helpful dung cure!) on the aching tooth. – Should none of the above work, your surgeon will then collect a woodlouse from outside, pierce the creature and put it on the bad tooth. – Another cure the surgeon will suggest, and one sure to wash the taste of woodlouse out of your mouth, is toothache wine. Mix pulverised grapevine ash and good wine and drink. This delightful ‘cure’, while perhaps not actually treating the cause of your toothache, will surely make you forget you even had one. – Bloodletting. Not particularly helpful for the toothache but guaranteed to help you sleep. It’s happened to all of us, a quick glance at the kitchen maid to make sure she isn’t stealing anything and suddenly your finger is bleeding. Nothing a quick application of cow dung won’t help. But what about those injuries or conditions you can’t cure yourself? – The first thing any decent surgeon will do is to find a live snail (reputable surgeons will have their own in stock, another item to enquire about when you first meet!) and rub the slime on the burn. Repeated applications will offer relief from pain and aid in healing. 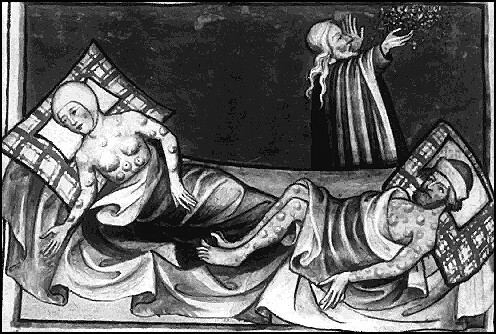 – If the slime fails (or if one is strange enough to shun perfectly good snail slime), your surgeon will resort to a tried and true cure: a salve. A particularly effective salve is one with lavender, olive oil, and honey. But sometimes the rash or sore is more than just a boasting point and requires medical attention. Enter your barber-surgeon. – Your surgeon may suggest burning hen bones and egg shells, grinding them together to a powder, and sprinkling the powder on the sore. Insist on white egg shells. – A popular treatment for sores (and if your surgeon doesn’t at first offer this, push him on it) is the grinding together of earthworms, pigeon’s dung, swine grease, and the crumbs of sour bread. Spread the mixture on the sore. – Bloodletting. Nothing like it to balance the humors! If your surgeon runs when you visit him, find a priest immediately and confess. And pray. And confess more. Didn’t do it? Confess anyway! No idea which saint to pray to? Pray to them all! If your surgeon does NOT run, he’s probably not a very good surgeon anyway. Pray. And confess. We all know that a sneeze is the soul trying to speed up listless humours. But sometimes we suffer from more than just sluggish blood! 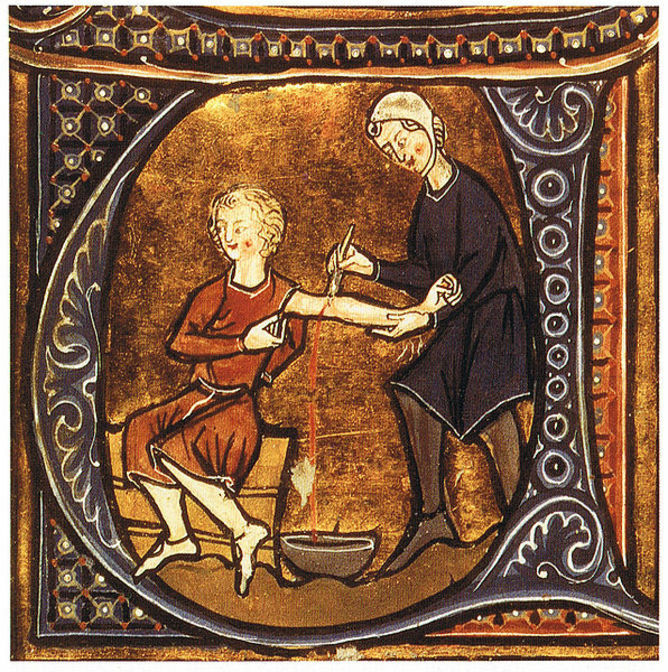 Fortunately, your barber-surgeon knows just what to do. – Late night last night? 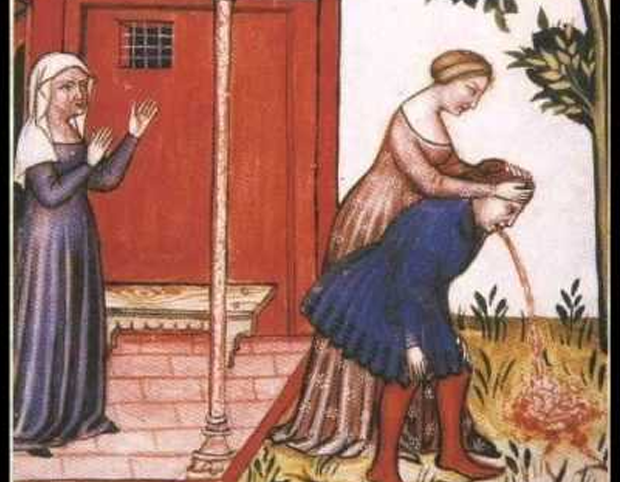 One flagon of ale too many? Eyes cloudy and unseeing? Your surgeon may try goose or hen dung on your eyes (hopefully accompanied by a fun story about geese or hens!). – If the dung doesn’t help, some new fresh cheese placed on the eyes may be just the cure. Be sure to ask for local cheese, the ingredients will be fresher. – For those willing or able to spend a bit more on their treatment, the surgeon may send you home with a topaz or sapphire. Wine in which a gold topaz has soaked, dropped onto the eyes, has proven successful, as has placing a blue sapphire in the mouth. – A sore throat can easily be treated by swallowing a few young frogs or some snail slime. If you take them at the same time, the frogs just slide right down! – Chest complaints can be treated easily with some nice lungwort tea or by eating almonds. (Helpful Hint: eating almonds is also good for those with empty brains, like your master or the ploughman). – Bloodletting. Depending on the specific complaint, bleeding will always come through for you. Obviously this list could go on and on; there are so many fascinating diseases and treatments available to us these days! But we only had space to provide the most popular ones, and hope you find the information interesting and informative. We also hope you are successful in both choosing your next barber-surgeon AND ridding yourself of your unsightly sores, rashes, and buboes! The advice listed above is taken from Bald’s “Leech Doesn’t Mean the Slimy Water Creatures” Leechbook, “Way Ahead of His Time” Avicenna, John “Father of Surgery” Arderne, Ali “Moles are Great” Ibn Isa, and Hildegarde of “I Dig the Visions” Bingen. 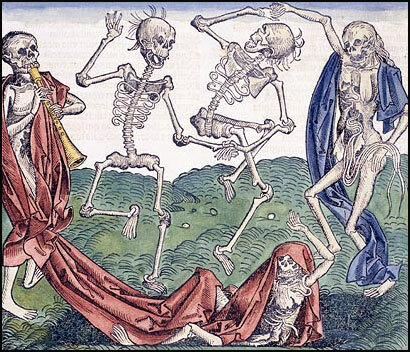 All images from The British Museum, Mental Floss, Wikimedia Commons, and Wikipedia. Apologies to Monty Python. If you don’t know why this is here, I can’t help you. 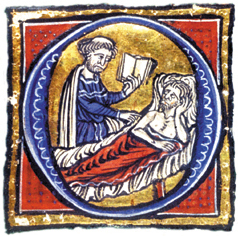 A Leechbook or Collection of Medical Recipes of the Fifteenth Century, Warren R Dawson. I shall of course be taking this list to my local barber surgeon and questioning him intently. Should this fail I shall then be repeating the process with the local wise women. I prefer a wise woman anyway, less bloodletting and drilling holes in my person. My head has so many holes I swear my thoughts escape through them!